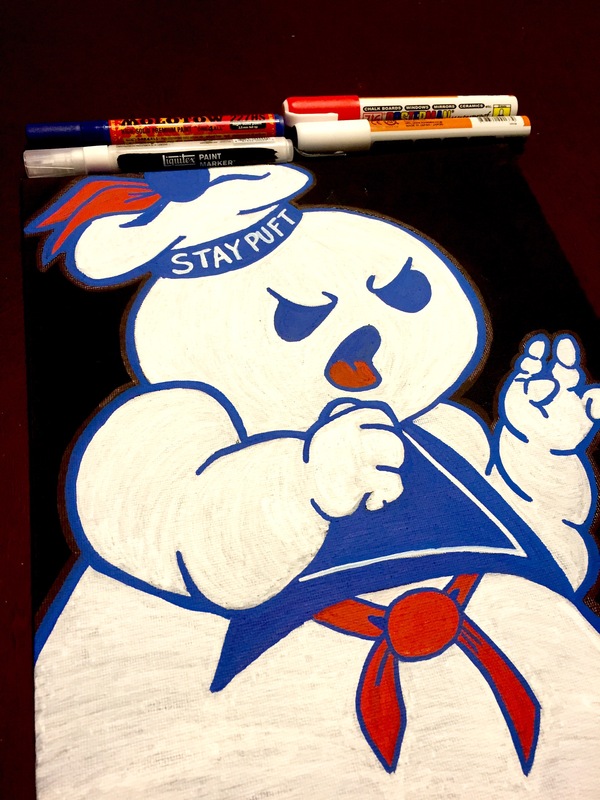 My daughter has recently become obsessed with the Stay Puft Marshmallow Man. Being that her birthday is coming up in a few days, she requested a Stay Puft toy. I looked everywhere to find one, but came up empty handed. Luckily I had a project that fell through, so I had the time to finish this for her birthday.